Your network deserves to deliver 10 Gigabit Ethernet in a cost-effective way with 1GbE business and transport services — and the Ciena CN 3960 is just the tool to empower you. This SDS from Ciena works over existing fiber and copper connections, providing 10 GbE ports and eight 1 GbE ports in a single rack unit, including redundant power supply elements. 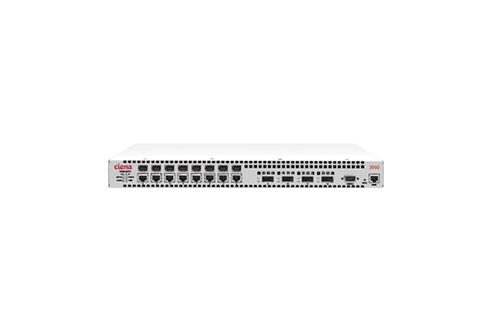 The compact design enables you to bring the Ciena CN 3960 to remote, central and customer locations in a wide array of physical environments so you can deliver service where it best suits your customers and your revenue streams. Plus, you ensure wireless backhaul support as well as enterprise feasibility for 10G/1G applications. Joining a refurbished Ciena CN 3960 to your network provides this functionality at a reduced cost, thanks to Worldwide Supply’s commitment to SDS quality and affordability. We’ll help you pick a plan to implement upgrades and maintenance schemes so you’re never without guidance. And many more advanced features designed to deliver high-quality Ethernet services and capabilities across your configuration. Get the speed you need in network delivery and deployment time by choosing Worldwide Supply’s quick delivery options for any refurbished Ciena CN 3960 as well as parts and maintenance support.